Show off recent leads from a HubSpot account. HubSpot is a world leader in marketing automation, and we're thrilled to provide a seamless integration that shows off new HubSpot leads on your website. Connecting Fomo with HubSpot takes under 1 minute and requires no coding experience. Inside Fomo, navigate to the Integrations tab and find Hubspot by scrolling down or inputting "Hubspot" in the instant search field. 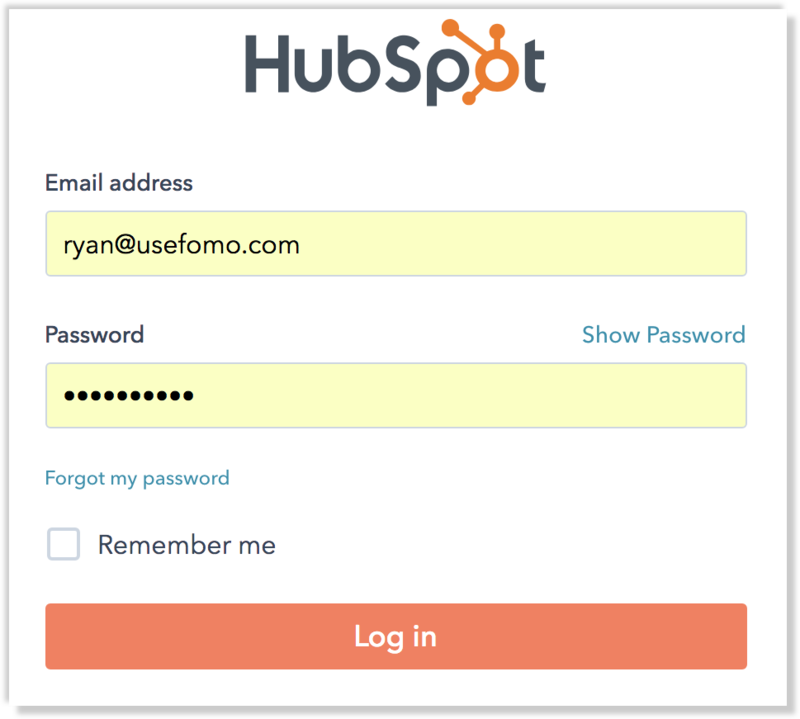 Click "connect with Hubspot" to automatically open a login window for your HubSpot account. Next, choose a specific HubSpot account for which to grant Fomo contact permissions. Note, Fomo is "read only" and observes basic details like contact names and locations, to create live notifications on your website. Fomo will never modify any of your HubSpot account or specific contact details. You're done! HubSpot is now connected to your Fomo account. You may now visit the Templates tab to modify your messaging structure, or see recently created notifications in the Events tab. If you have additional questions about this integration, reach out to our Support Engineers on live chat our by emailing hello@fomo.com.